E-mail Watch #piday #raspberrypi @Raspberry_Pi « Adafruit Industries – Makers, hackers, artists, designers and engineers! Andrea S. over at hackster.io posted this great project on how to detect new email messages in your inbox using a Raspberry Pi and Spark. 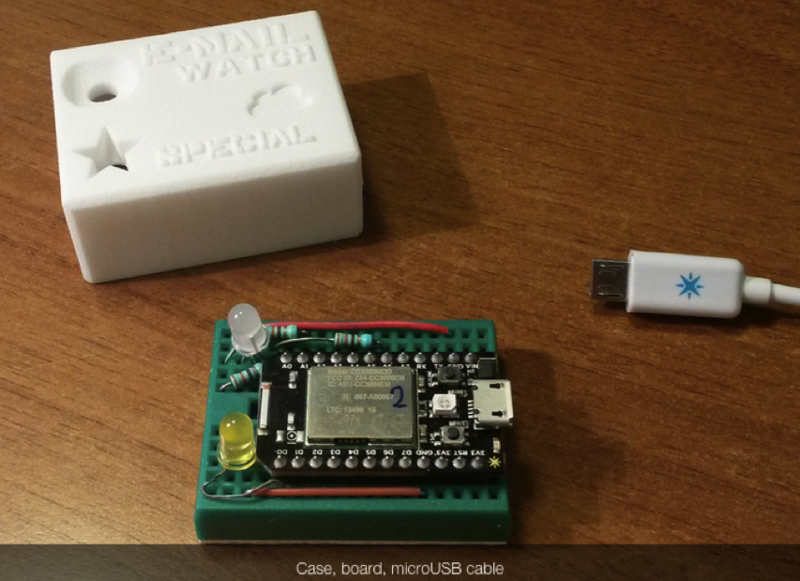 The aim of this project is automatically checking emails and showing the presence of new messages with different LED colors and blink patterns. The final product is a USB powered, WiFi connected, 3d printed small box with a few colored LEDs. You can place it anywhere there is a WiFi signal, and check your mailbox with a glance!